Should I Ride? - Motorcycle Safety Institute of S.A.
Home >> Should I Ride? Riding a motorcycle is a unique experience. Riding is fun and invigorating, yet the skills needed for safe riding, combined with the lack of car-like crash protection on a motorcycle, can cast doubts on whether a person should choose to ride a motorcycle. Some potential riders lack the ability to execute skilled and timely actions in a complex traffic environment; others lack keen judgment or don’t have a firm grasp of the concept of risk management. 1. Are you a higher risk-taker than others you know? If you tend to need a thrill while driving a car and have aggressive or risky tendencies (following too closely, turning without signaling, talking on a cell phone, getting angry at other drivers, etc. ), motorcycling may not be for you. While motorcycling improves the overall quality of life for many, for some it can lead to disaster. Thinking that an accident only happens to others is an attitude that will get you in trouble. 3. Can you drive a manual transmission car? This is not a requirement, but it may make learning to ride easier because almost all motorcycles have manual transmissions. If you can’t get the hang of changing gears but still want to enjoy a powered two-wheeler, you might want to start out on a scooter. Scooters generally have automatic transmissions and come in many sizes, from simpler models with an engine size of 110cc to powerful 650cc models. 4. Do you see well? 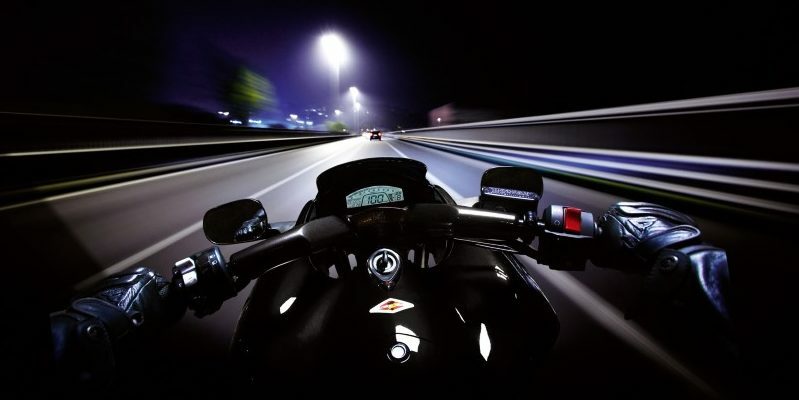 Riding a motorcycle requires special perceptual skills that rely on good vision. Have you had an eye examination recently? Do you tend to see things that are far away later than other people you know? The ability to see well ahead is important for safe riding. 5. Are you mechanically inclined? Today’s motorcycles are very reliable machines, but with all the bolts, nuts, and mechanisms out in the open, and only two tyres connecting you to the road, you need to be able to inspect your equipment and make the occasional minor adjustment. You don’t need to be a master mechanic, but it helps to know your way around a tyre pressure gauge and a wrench. Almost everything a rider needs to know is in the motorcycle owner’s manual, and if you’ve never read your car owner’s manual, which could be a sign that motorcycling is not for you. 6. Are you safety-minded? If you routinely find yourself bandaged up after doing simple do-it-yourself projects around the house, or think it’s acceptable to operate a motor vehicle under the influence of alcohol, the unique challenges of motorcycle riding may not be compatible with your decision-making. Riders can control their situation only if safety is a high priority. Millions of motorcyclists have ridden for long periods of time without incident, and they likely take safety seriously. 7. Do you respect machinery and other equipment that has risk? For example, when using a lawnmower or chainsaw, do you maintain it properly and wear eye/ear/hand protection when needed? If you’re not serious about safety in connection with simple machinery and equipment whose improper use can lead to serious injury, you may not respect motorcycling enough to follow safety precautions. Successful riders know that safety isn’t a matter of luck, but a matter of doing the right things to minimize risk. 8. Can you focus? Lack of focus/attention is a major cause of accidents. Safe motorcycling requires dedicated attention to the immediate task and a keen awareness of everything going on 360 degrees around you. Rush-hour traffic aboard a motorcycle is not the place to be daydreaming. For instance, if you find yourself overusing your brakes because you were caught off-guard, or are often surprised by a passing car or truck you didn’t see, your situational awareness could be less than adequate. 9. Can you handle your car in an emergency? Drivers don’t often have the need to brake hard or swerve to avoid an accident, but it’s important to have the skills to be able to do so when needed. On a motorcycle, having these types of skills is essential because other road users tend not to see motorcyclists in traffic, especially around intersections. 10. Are you willing to invest some time in learning to ride the right way before hopping on a bike? Your best “first ride” is on a Motorcycle Rider Course for Beginners where you can familiarize yourself with the safe operation of a motorcycle. You can even take the course as an experiment, to help you better understand the dynamics of good riding and to determine if motorcycling is right for you. Now go and think long and hard about this, don’t just take advice from a salesperson, friend or family member, speak to an expert. When you decide, do it the right way from the start – Get Trained!